Frank Hartzell has published more than 10,000 news articles since his first job in Houston in 1986. He is the recipient of numerous awards for many years as a reporter, editor and publisher mostly and has worked at newspapers including the Appeal-Democrat, Sacramento Bee, Newark Ohio Advocate and as managing editor of the Napa Valley Register. He taught at Yuba College, Ohio State and Dominican University of California. He then came to Fort Bragg to hang out with his aging mom and spent 12 years with the Advocate-News and Mendocino Beacon. On the Coast, Frank has also worked for mental health, Fort Bragg schools as a substitute teacher, as a Realtor with Mendocino Pacific Realty and as a bookseller and online merchant. He has a BA in journalism from Humboldt State University and a master’s degree in journalism from The Ohio State University. He and his spouse Linda Little live in Cleone. 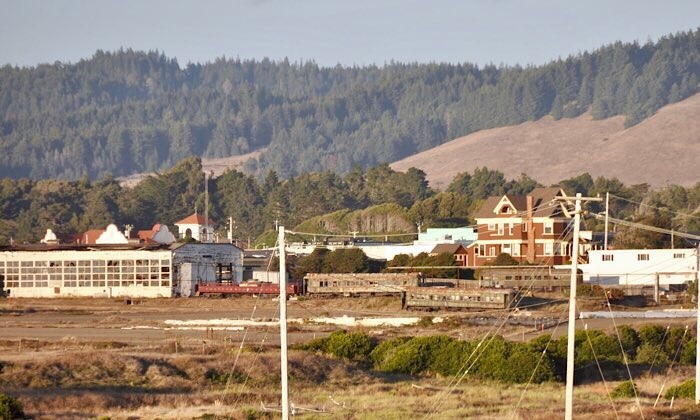 The City of Fort Bragg has a plan, and the Skunk Train has made an offer.